City Budget 2015. Presentations both written and oral during February public consultations on the 2015 budget to the Environment Committee, Transit Commission, Community and Protective Services, FEDCO submission (Finance and Economic Development Committee). City Councillors: we have talked with all of them. National Capital Commission. Our meetings with key staff have resulted in the NCC preparing a detailed map of where toilets on their properties are located, what facilities they have, and when they are open. We presented to the NCC Board on April 9, 2014 and were advised that they intend to include public toilet provision in their future planning. Work continues. Business Improvement Areas. We are setting up meetings with BIAs to ask their advice and support. We have met with the ByWard Market Core Team. Toilets in the LRT stations. Meetings with senior management on May 7 and again in February 2015. Police. A request through Councillor Eli El-Chantiry as Chair of the Police Services Board resulted in a meeting with Sgt. Andy Roach, of the Crime Prevention through Environmental Design Unit. The police think this is a good initiative, and will support the idea at City Planning committee meetings. Sgt. Roach had number of helpful suggestions for us. Public Health. We do have the support of some key staff and presented during the 2015 budget consultations. Crime Prevention Ottawa. 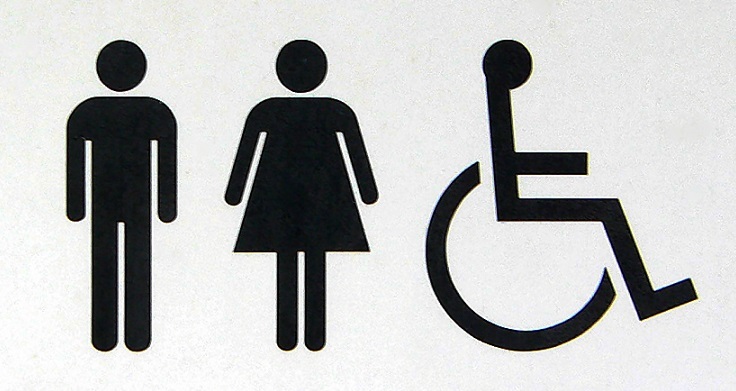 We met with the Connecting on Disability and Abuse (CODA) committee, to an enthusiastic response, and a number of suggestions about using the Accessibility for Ontarians with Disabilities Act (AODA) to further the provision of toilets. Accessibility for Ontarians with Disabilities Act (AODA) Review. We submitted an oral and a written brief to the Mayo Moran five-year review of the Act, urging that a requirement for public toilets (especially in rapid transit stations) be considered mandatory in Standards under the act. Currently the Ontario Building Code only requires such toilets at the ends of an electrified rapid transit line. Ottawa Council on Aging. We sit on the Pedestrian Safety Committee and toilets are now included in the Walkability Audits. the COA has endorsed the GottaGo! campaign and referenced our plans in their City budget presentation. Older Adults Plan. We have been told that public toilets are addressed in 2015 plan renewal. Ottawa Social Planning Council. Sent a letter supporting GottaGo! initiatives to Council Committee on Community and Protective Services July 23, 2014.
a partnership with 1125@carleton, in which they are working with university experts across departments (such as Industrial Design and Engineering) in consultation with community interests to find innovative design solutions to concerns such as safety, heating, costs, etc. Community Associations. Endorsed by Vanier Community Association and Lowertown Community Association. Meeting with other CAs. Citizens Academy. Have benefitted from contacts and coaching. The Raven’s Den. Won $1550 towards our community work from this Carleton University fund-raiser in December 2014. The Alliance to End Homelessness Ottawa. Endorsed GottaGo! in principle at June 6 Board meeting. Ottawa Community Foundation. Received a $5000 grant to contract a community organizer for the Dundonald Park pilot project in 2015. Ottawa Community Support Coalition. circulating endorsement letter to member groups. See endorsements for what our supporters are saying.